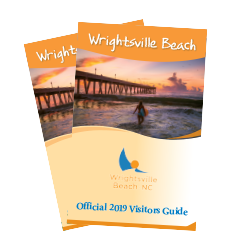 Be the first to know by signing up now to receive the latest on Wrightsville Beach seasonal events and things to do that will give you a head start on your vacation planning. Special holiday-related offers and travel packages are included when lodging partners have them available. Simply enter your email address below and click submit to receive Wrightsville Beach eSpecials**. **Our eSpecials are promotional emails about special offers, attractions and events happening in and around Wrightsville Beach, North Carolina. You will receive approximately eight eSpecials a year. You can unsubscribe at any time, directly from the prominent links within each eSpecial, by telephone at 1-877-406-2356, or by emailing us at visit@wilmingtonandbeaches.com with "Remove from your mailing list" in the subject line. We do not share our email lists with anyone.